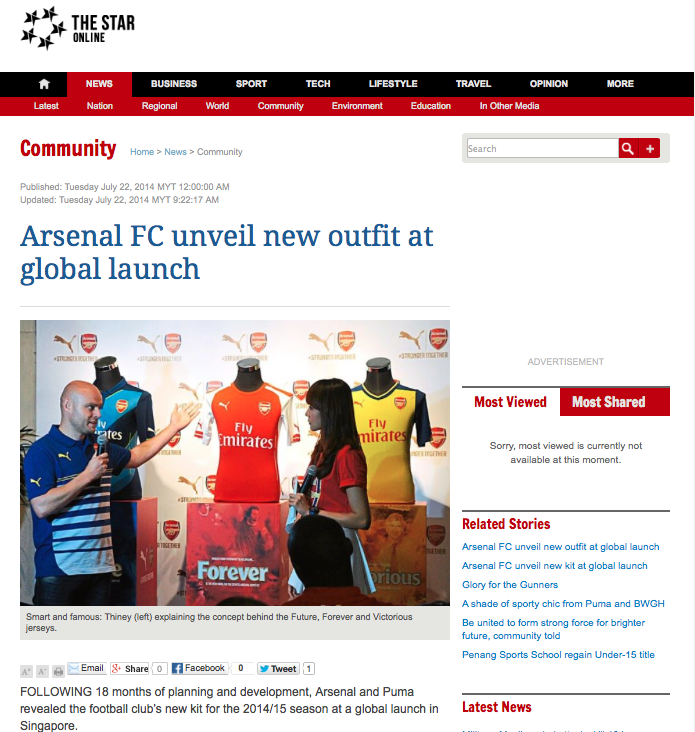 Home / Unlabelled / Arsenal Malaysia in The Star Newspaper ! Arsenal Malaysia in The Star Newspaper ! Article is published on the 22nd July 2014.